Theodore Bernard "Big Klu" Kluszewski played in the majors for two decades, more than half of those years with the Reds. He was big — well over 6 feet and around 230 pounds, give or take — and he was strong. Like, Harmon Killebrew meets Joe Adcock by way of Josh Gibson strong. He wasn't Hall of Fame caliber, but for several years in the mid-1950s he was a force at the plate (49 home runs and 141 RBIs in 1954, for instance) and in his only World Series, in 1959 with the White Sox, he hit .391 with three homers and 10 RBIs. So. A solid player, with a memorable nickname. But what really set Kluszewski apart was his uniform — or rather, what was missing from his uniform. Namely, the sleeves. Early on in his tenure with the Reds, the Argo, Ill., native found the uniform sleeves too constricting. They messed with his swing. Instead of altering his swing, he got some scissors and cut the sleeves off. 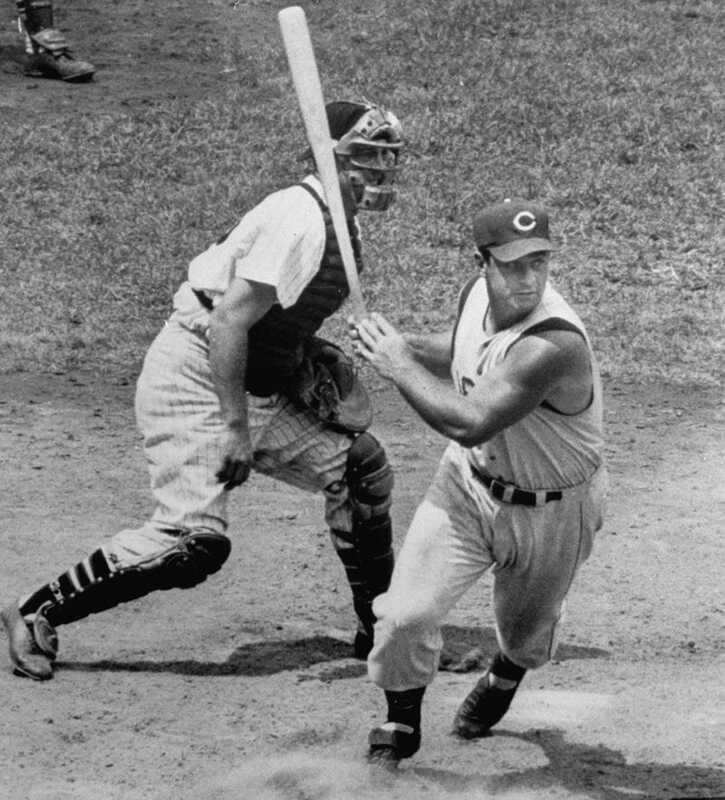 For the rest of his career, Big Klu played pretty much every game with those huge guns waving free. No one likes the nostalgic douchebowls who are always bleating about how the game was somehow "better" 20 or 30 or 50 years ago. But in one regard, at least, baseball is certainly less appealing nowadays than it was when a mountain of a man could take shears to his uniform because he didn't like the way the sleeves felt, and no one — not his team, not his manager, not the league — would say a damn thing about it. MORE: See LIFE's best baseball pictures. Ben Cosgrove is the editor of LIFE.com. Picture This is his occasional feature for The Stacks.